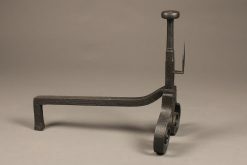 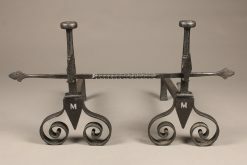 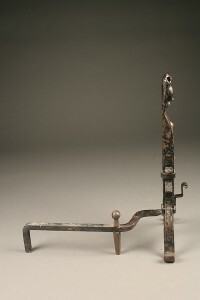 19th century English cast iron andirons with bar and initial “M”. 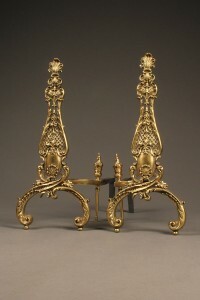 Beautiful pair of cast brass English andirons with fleur de lis. 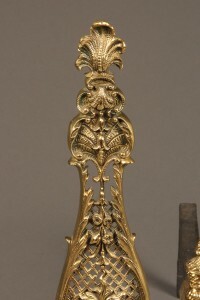 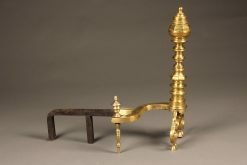 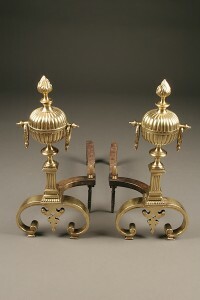 Very ornate pair of beehive pattern English andirons. 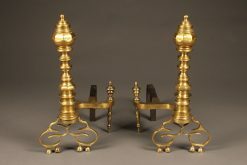 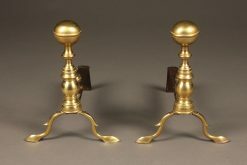 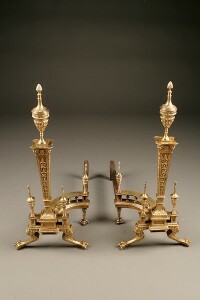 Very nice pair of small, brass English andirons. 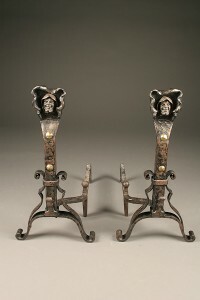 Pair of Arts and Crafts wrought iron andirons with face. 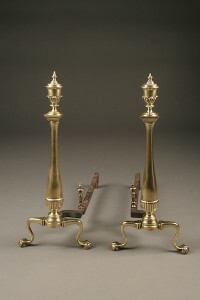 Pair of late 19th century French cast bronze andirons in 2nd Empire style. 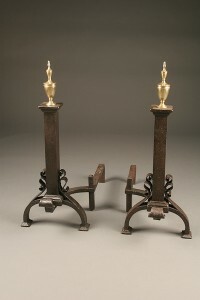 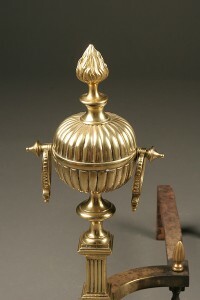 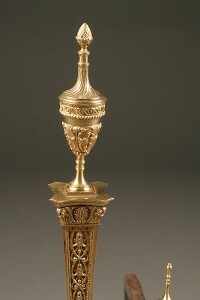 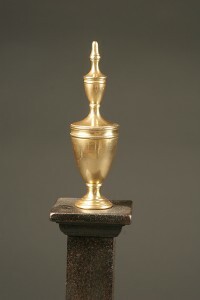 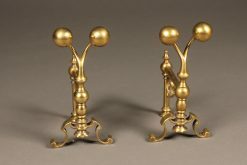 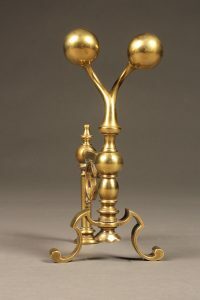 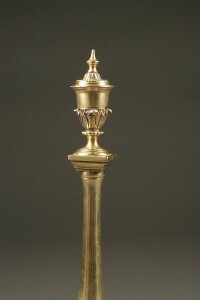 Pair of 19th century English cast bronze andirons with flame finial. 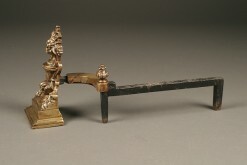 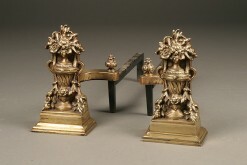 Pair of French cast bronze andirons with flower basket motif. 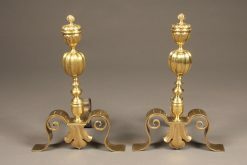 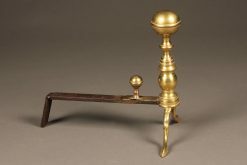 Pair of 19th century French cast iron andirons with brass finial.